Bring up the topic of amateur football in a conversation and it always seems that, before long, it turns to talking about injuries. Everyone gets injured at some point, it’s just the risk you run when playing any sport. At the very least it results in discomfort, and at worst it can keep us out of action for weeks, months, or even years. Avoiding injury is best, but what about when it’s already struck? Most of us don’t have the medical knowledge to determine what the problem is – usually our default setting is just to hope that it heals with some rest. But is that really always the best approach? 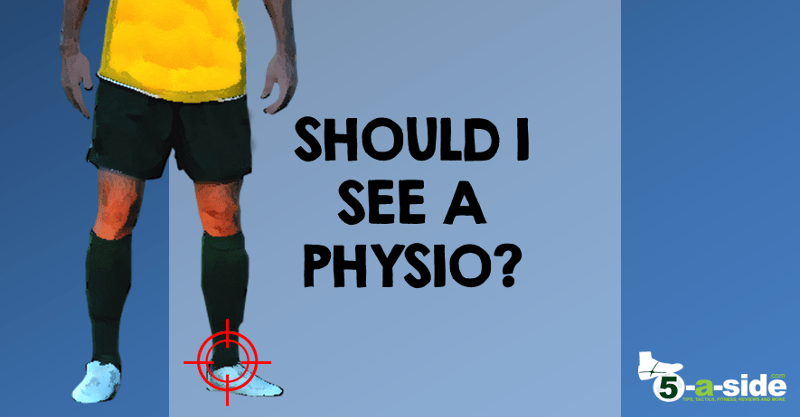 It is worth seeing a Physio? Logically, it makes sense to consult an expert when you’ve got an issue. If your car had broken down you’d take it to a mechanic, so why not consider taking your clapped-out body to a physio when it has been injured? Most of us just don’t know when we should go and see a physio, what they could do for us, or whether they’re worth the money. So I went and saw one: Nell Mead, Clinical Director of Victory Health & Performance – based in London – for answers. Nell was named the Best Physiotherapist for Serious Injuries and Rehabilitation by physio-finder website Zesty so she knows a thing or two about getting people back playing sport. Why you should go and see somebody if your injury hasn’t started to heal within a week. In some cases it’s very obvious that you need to see a medical professional right away to deal with your injury, especially where it’s serious. But what if it’s something like an Achilles injury that you might be able to shake off in a couple of weeks? 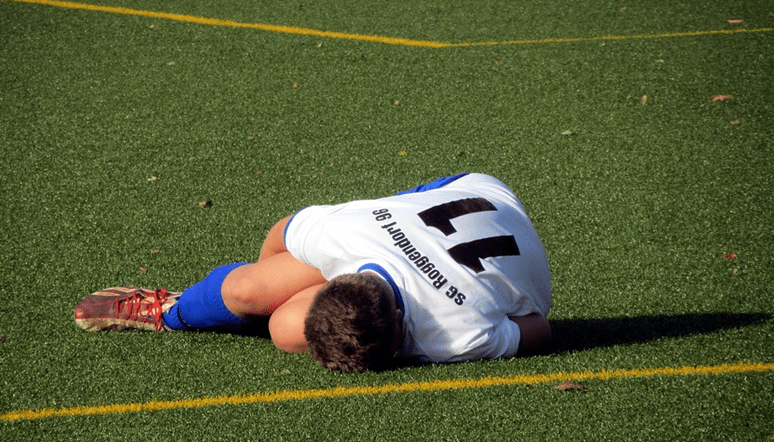 The problem is that injuries that take a longer time to heal can end up causing knock-on problems, leaving you with potential problems for the future. This is where a physio comes in. They can teach you better movement patterns so that you don’t pick up a load of new problems as you try and shake off your existing ones. The more you compensate for old injuries, the more you are vulnerable to new injuries. Nobody wants to see this happening week after week – a physio can help you sort it out. But what about seeing a doctor – that will do the job, right? A doctor can still be very useful, and there are times where you should see one instead of a physio. That would be if you need an X-ray or other scan, or if you’ve got health insurance and you need a referral on to a physio (many require you to see a doctor before they will authorise physio treatment). If you want specialist musculoskeletal treatment and rehabilitation, however, a physio would be more experienced at dealing with the issue. If you’re a UK reader then you may be aware that you can get physio on the National Health Service (UK readers only) and that will be free. However, it’s not always specifically sports focussed (after all, physios exist to treat a variety of conditions). There are some good sports centres, but the majority of really good sports physiotherapy is private and needs to be paid for. Physiotherapy can start at around £35 per half an hour (depending on your location – e.g. in central London you’re looking at much nearer a starting price of £50) and you can get some good treatment at this level. A while ago I got a knee injury playing football. After the game I was in a lot of pain but I manfully (I like to think ‘heroically’) struggled on thinking it would just get better with time. After several weeks, it hadn’t cleared up and I was still walking with a bit of a limp. Then a strange thing happened, I started getting pain in my other knee even though I hadn’t played any more football. What could I have done differently if I had seen a physio? Nell’s response: “First of all I would have assessed not just your knee but your whole body. The chances are, if you had a lot of pain, you would have been compensating somewhere. So we would work out where you are compensating and the chances are that something around the pelvis was a bit wonky from limping, and the other knee was having to work harder. So we work on the victim, and that’s important, but we also have to work on the bits that are compensating for it. The point is, our bodies have an amazing capacity to heal. The problem is, it also naturally tries to compensate for the injured area if we carry on using it (which is often unavoidable). A physio can ensure that your body heals properly, strengthens the affected area for future use, and avoids further injury through the body trying to compensate for the injured area. A big thanks to Nell for her help with this article. Thanks Helen, glad you enjoyed it. I never knew that you should go see a physiotherapist if your injury has not started to heal within a week. My wife and I have been trying to overcome out physical problems, and it has been going okay until now. It would be interesting to see what they could do for me. Sometimes things heal on their own, but I’ve got painful recent experience of how things could have been much more quickly and easily dealt with by seeing a professional! Thanks for the comment. I think you’re right that most people don’t know when to see a physiotherapist. I do think that statement could apply to most medical services. Personally, I have a tendency to wait to get help until there’s no way to deny that I should see a professional. I think we all tend to do that. In my case, I’ve often fallen into the trap of just assuming that things will heal if I don’t see a physio and then being in a bit of trouble down the line when they haven’t! I think another issue is that we’ve all got such busy lives that taking the time out to book an appointment and go and see a physio is something that is easily procrastinated. I really like the way you talked about getting treatment here. The differences between a regular doctor and a physiotherapist were the most interesting though. I’ve got a lot of friends that have had a lot of success with their respective physiotherapists, so this was an affirming article. Thanks for sharing your insight! Thanks Tobias! It’s good to hear additional confirmation that physiotherapy has worked for you and your friends. I really only discovered the benefits in the last few years (and I’m mid-30s now) but I wish I’d known earlier!